It happens, no matter how healthy you think you are, occasionally you’ll get taken down with a cold. 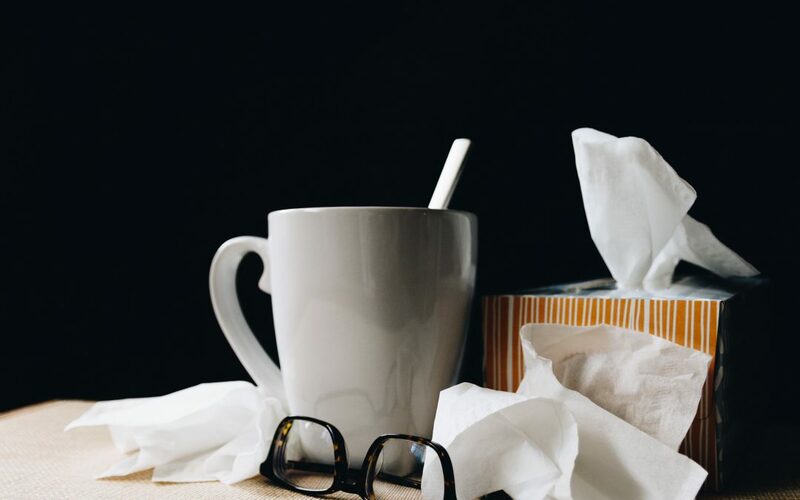 As it’s that time of year I thought I’d share a few quick tips on dealing with a cold, both when you’re getting the first signs and also when you are in the middle of it. Eat hot and stay warm – avoid eating cold foods. The body will have to work to heat these foods so eating hearty, wholesome, hot food will help to keep the body running efficiently. When you have a cold, it’s a sign of being in an energy-depleted state, so avoid making the body do extra work. Also go for warm drinks. Herbal teas are a good idea. Vitamin C – Take up to 400mg to boost immune function. If you take a multivitamin each day you’ll be getting Vitamin C but the dosage will not be as high as this. Consider getting a separate “C” supplement and check to see how much you need to take to then get to 400mg. Light exercise – A light bit of exercise will stimulate the lymphatic system and boost your mood. If you are running a high temperature, consider whether this is in fact a good idea. This step is good for a light cold but if you’re really run down resting may well be your best bet. Echinacea – Getting a bottle of echinacea will again boost the immune system. 10 drops, 5x per day seems to work well. Extra carbohydrates – Carbohydrates in this state can be a useful support for extra energy. Consider having an extra portion on top of your usual volume with each meal. Digestive support – Your body is run down and needs all the support it can get. A digestive enzyme is a good idea to help in breaking down the food you’re taking on board and to help you get back to optimal health as quickly as possible. Comedy – Simply put, having a laugh boosts immune function! So avoid stressful situations and get in front of your favourite comedy/comedian. A good belly laugh will have you on the road to recovery.